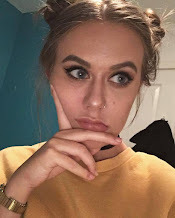 You may have noticed recently that my blog had slowed down quite a bit in terms of new posts, and as some of you may have already guessed, it was due to my GCSEs, and I simply didn't have the time to post as regularly as I would like. BUT, they are over now, and I'm reporting on how I survived. I know they are over now, but for upcoming years, this might be useful material for someone. For a lot of people, revision hasn't been something they've done before and it becomes a bit overwhelming when trying to decide how exactly they are going to tackle the extreme masses of textbooks they need to plough through. Luckily, I did one GCSE a year early last year so had a bit of practice and mock exams are pretty useful too. I was a fan of making condensed notes in loads of coloured pens, as well as highlighting key information and using index cards to make flash cards that my mum could test me on. It is important to trial different methods to ensure you are taking in as much information as possible, and generally learning off by heart is not the best option, as you generally aren't tested on recall and you instead have to apply knowledge to certain information. Take advantage of the help available to you - if structured sessions are offered at your school try and go to as many as you possibly can rather than trying to sit alone with a book. Being organised makes things a whole lot easier. 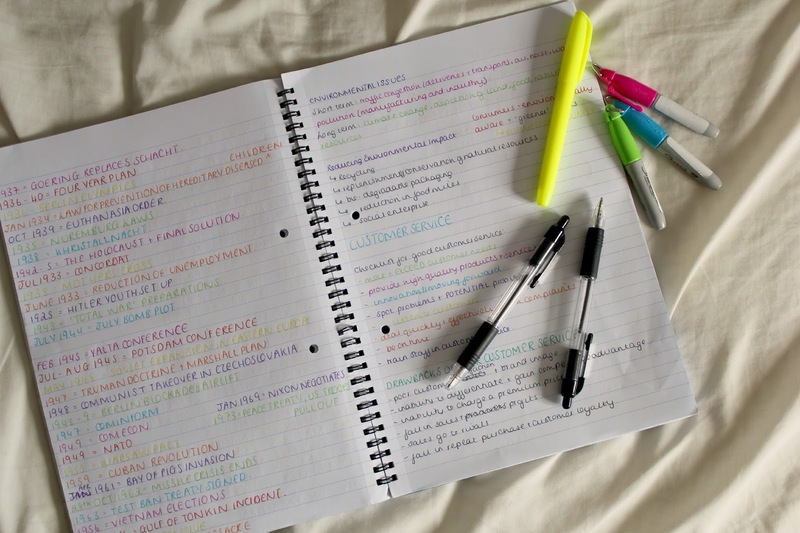 Setting out a revision timetable is a useful tool to ensure that you are making the most of your time as well as getting enough done. By starting this process early on rather than super close to the exam you will feel more at ease when walking into the examination hall. Revision should not rule your entire life for the weeks or months leading up to exam season, and you should keep some sort of balance between work and life, to help de-stress. This links to the previous point, but try and stick to the normality that would be occurring in your life before exams had started to kick in. Eat and sleep well, as well as putting aside some time to relax each day. If you find yourself cramming, take a step back and analyse what exam is closest and how to manage your revision for it. Worrying how much revision your friends have done is not the best option (I learnt the hard way) - and only you can tell whether you have done your absolute best in terms of working towards each exam. Perhaps the easiest way to get motivated is to stick to the end goal. Think about getting your results sheet and seeing all the grades you wanted. That doesn't mean the grade the next person wants, because everyone has better and worse subjects - it is all about what you personally want to achieve. Although you may feel like your life has come to a standstill, think about the long summer you will receive afterwards, and how much freedom you will have once everything is over. Although I'm yet to receive any results, I hope these tips are somewhat helpful to another student out there somewhere, who is simply trying to power through an extremely stressful time. I'm looking forward to the time I now have to focus on my blog and get it back on its tracks.